As a luxury plug-in hybrid compact coupe, the Cadillac ELR is General Motors’ answer to the recent call for luxury hybrids. With an all-electric range of 35 miles and top speed of 100 mph, the ELR, which is still new to the industry after being introduced in January 2014, has quickly become one of the top luxury hybrids to keep an eye on, helping Cadillac re-establish itself as a luxury brand. The Cadillac ELR coupe was first introduced to the public as a concept car called the Cadillac Converj at the 2009 North American International Auto Show (NAIAS). The production model was then revealed four years later at the 2013 NAIAS, and the luxury hybrid plug-in began production in May 2013 at the Detroit-Hamtramck Assembly Plant. The first ELRs arrived on dealership lots in December 2013. Though the ELR has only been officially on the market for a few months, it has already won a few awards for its pre-production model. The Converj concept, on which the ELR is based, was named the “Best Concept Vehicle” in the Eyes on Design Awards, the “Most Significant Concept Vehicle of 2009” in the North American Concept Vehicle of the Year Awards, and the “Specialty Concept Vehicle of the Year” by Southeast Automotive Media Organization. 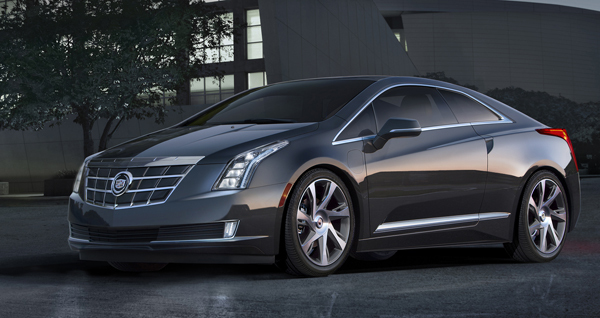 The ELR was also recognized as the “Best Production Vehicle” in 2013 from the Eyes on Design Awards. Still fresh to the market, the ELR Coupe has seen only positive reactions from dealers and customers alike. Its distinct design and low monthly fuel cost are much touted, though some believe the price tag is a bit too hefty for the car’s value.